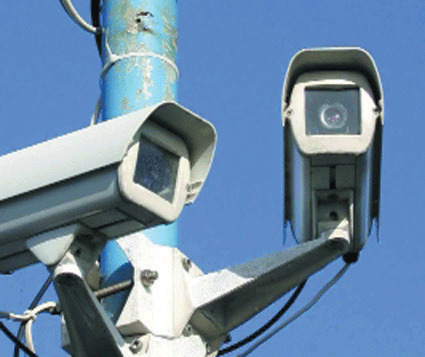 The British Gazette » CCTV: Loath it or love it? The British Gazette is in two minds. We cannot make our minds up. On the one hand: there is the question of civil liberties, state surveillance and privacy. If there was one piece of 20th/21st century technology that could be said to best exemplify George Orwell’s “Big Brother” then CCTV must be it. But on the other hand: CCTV catches and/or deters criminals. We, the law abiding public feel and are safer for them. Excellent web site you have right here. I do concur on some points, but not all. Very difficult. On balance I think that we should be better tackling the root of the social problems, otherwise we will need more prisons than schools. “Off with their heads” is increasingly my thought as “rats never breed mice”. Take the example of the 3 thugs who beat up a chap on the tube recently. Three so called professionals, drunk, and using foul language. The victim asked them to refrain such, they then beat him up. One of the assailants, a woman, seen on CCTV (I know!!!) stamping the guy in the head with her stilletoes. Judge fines them a few hundred pounds…..wow. OK the CCTV caught them on camera but there were lots of willing witnesses. Jail the louts or worse. It might take a generation but we’d soon lose the “need” for CCTV which invades evry one’s privacy. Does it deter? Do they not just put up their hoodies and continue unabated, or move to the next street? Actual police patrols would deter far more as there would be a far greater chance of actually being caught red handed and arrested.